You may have noticed more and more brands are launching pure oils like argan, jojoba, coconut, or blends of oils with all manner of tempting claims. But do these facial oils live up to their potential? The research-supported facts about what plant oils can do for skin is rather fascinating. They're not miracles, but the right plant oil or a beautiful a blend of beneficial oils can make a remarkable difference for dry, flaky, or dehydrated skin; in fact, non-fragrant facial oils can be suitable even for eczema-prone skin. Facial oils are for anyone whose skin could use a boost of nourishing, smoothing renewal, especially when seasonal cold or drier climates disturb your skin. Facial oils can include any fragrant plant oils (often called essential oils, but they are anything but essential—more on that in a moment), non-fragrant plant oils (your skin will love these) or synthetic oils (such as mineral oil—which gets a bad rap in the world of skincare but for the record, the research doesn't support the negative information you find on the Internet). Despite the name, these oils can be used anywhere on the face or body—there's no research showing that certain oils are better for one part of your skin or another. Such a notion is without logic or science. Interesting, money-saving fact: Skincare products that contain single oils, like argan, jojoba, or evening primrose can be found in all price ranges at the cosmetic counters, but the plainly-packaged single oils you'll find health food stores for a fraction of the price are just as effective. Are Facial Oils Right for You? Plant oils are a rich source of antioxidants and replenishing emollients but they're not good sources of skin-restoring ingredients (such as niacinamide, retinol, or peptides) or hydration-boosting ingredients (such as ceramides and hyaluronic acid). Nor do they give dry skin the rich mix of emollients it needs for lasting improvement. That's why we don't recommend replacing your moisturizer with a face oil. Your skin is a complex organ that can never have all of its needs satisfied by a single product or single brilliant ingredient. Think of facial oils as supporting players rather than the leading role in a complete skincare routine. 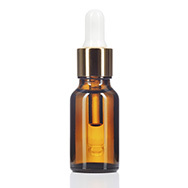 Moisture Renewal Oil Booster! This sophisticated mix blends a variety of research-proven, non-fragrant plant oils into a luxuriously silky texture your dry, dehydrated skin will drink in. And you won't see or feel “oily”, just a smooth, hydrated, and supple-feeling, healthy-looking glow! Watch out for fragrant oils, sometimes referred to as “essential oils”, even though they're anything but essential for skin. While these fragrant oils do share many of the same benefits for skin as their non-fragrant counterparts, they also come along with compounds that have a strong potential to sensitize and aggravate skin, especially when skin is exposed to air (which, of course, is all the time). As an example, many citrus oils can be problematic when exposed is to UV light, possibly changing skin's color. Other fragrant oils contain compounds that can oxidize on skin and cause problems. This remains true even if you can't see any changes right now, because skin's surface is good at hiding when it's being aggravated. If you have dry skin, mixing a bit of non-fragrant plant oil into your non-SPF moisturizer or serum is a great way to boost the moisture and replenishing benefits of your routine. You can also apply a few drops straight on to skin (after cleansing, toning, and applying an exfoliant) and then follow with your moisturizer or serum. There isn't a single best way to apply a face oil—and they can be used with any serum, treatment, AHA/BHA or other product. However, you don't want to mix your face oil into your daytime moisturizer with SPF—doing so dilutes the sunscreen's effectiveness.